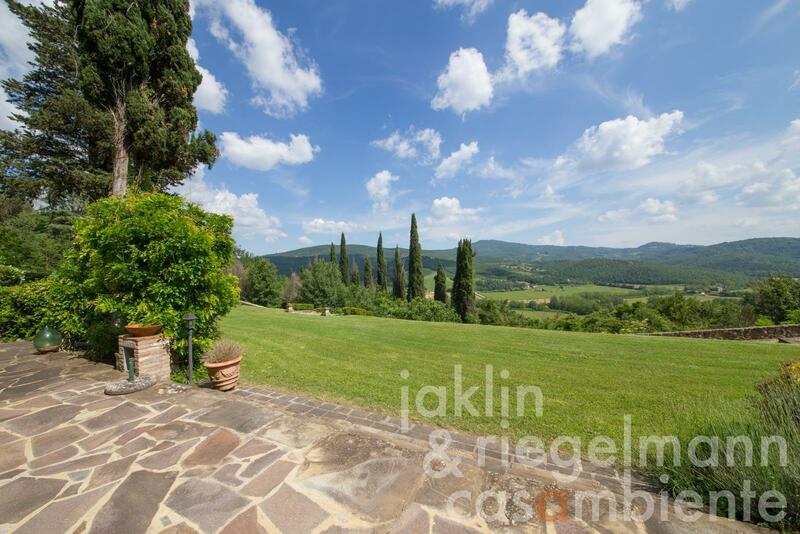 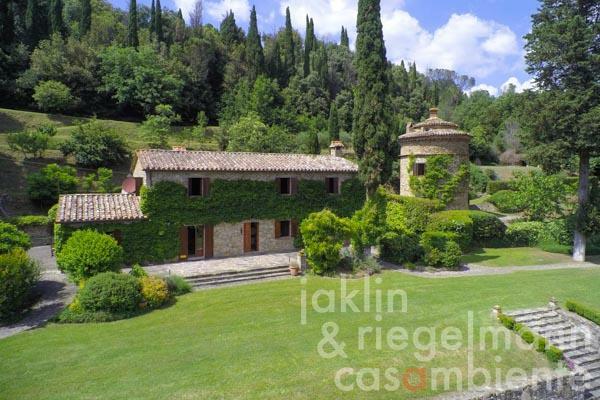 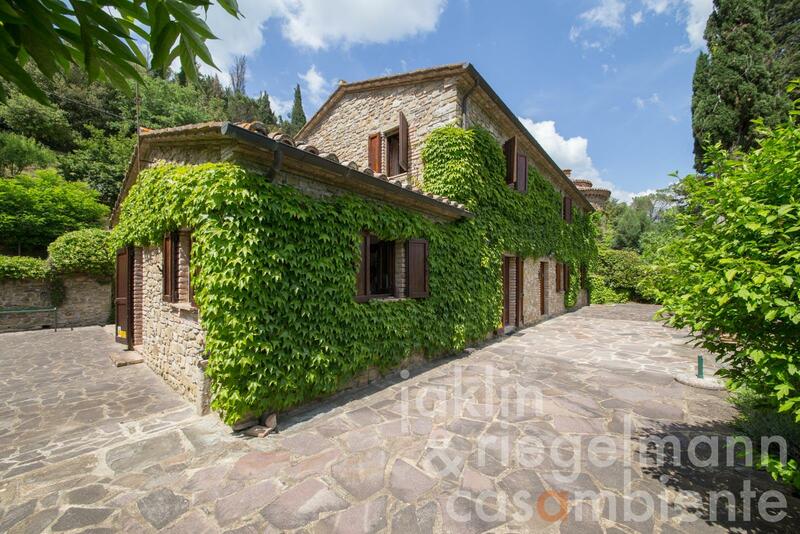 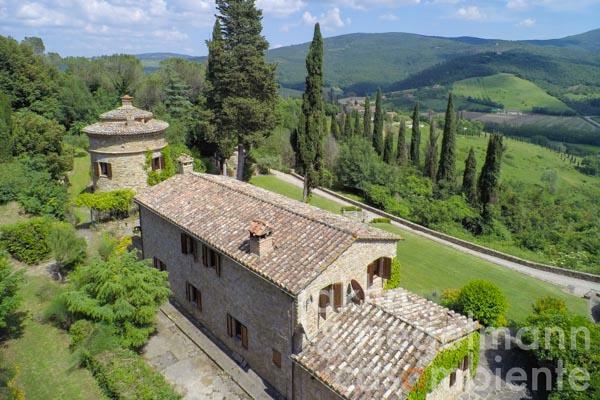 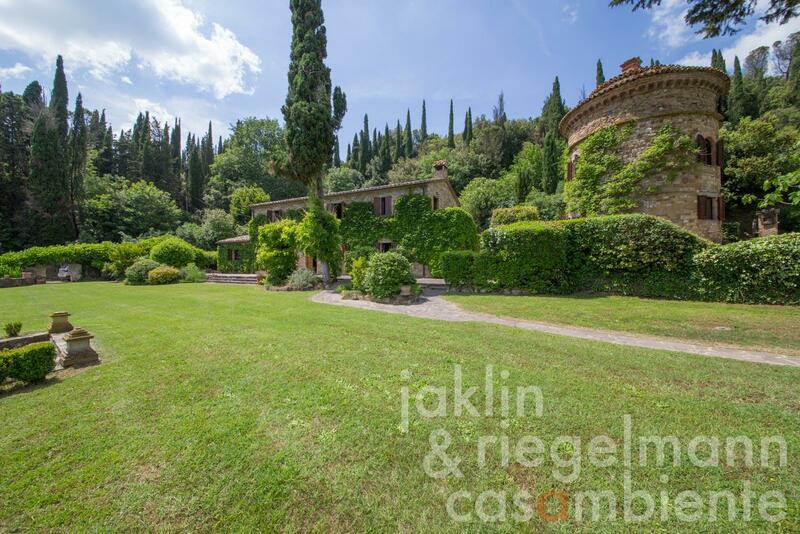 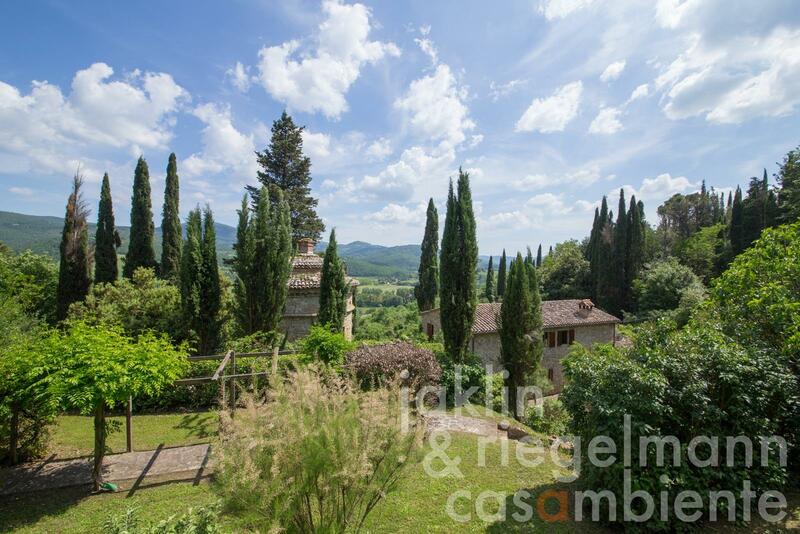 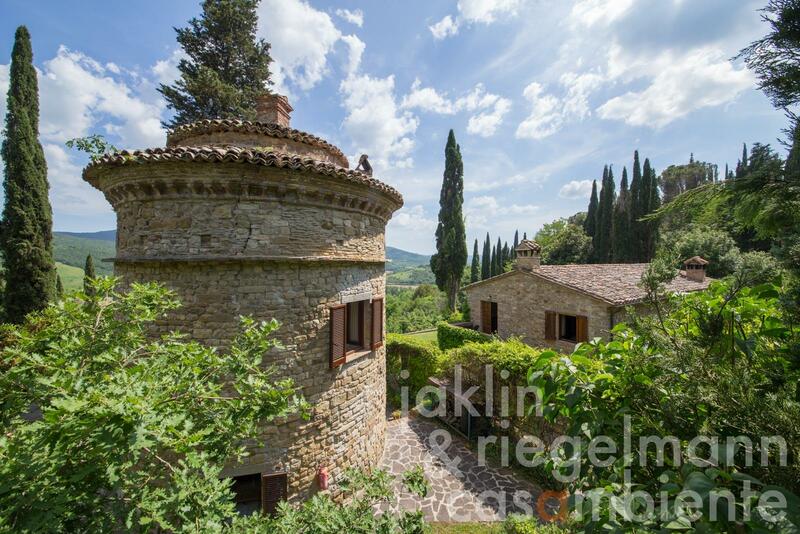 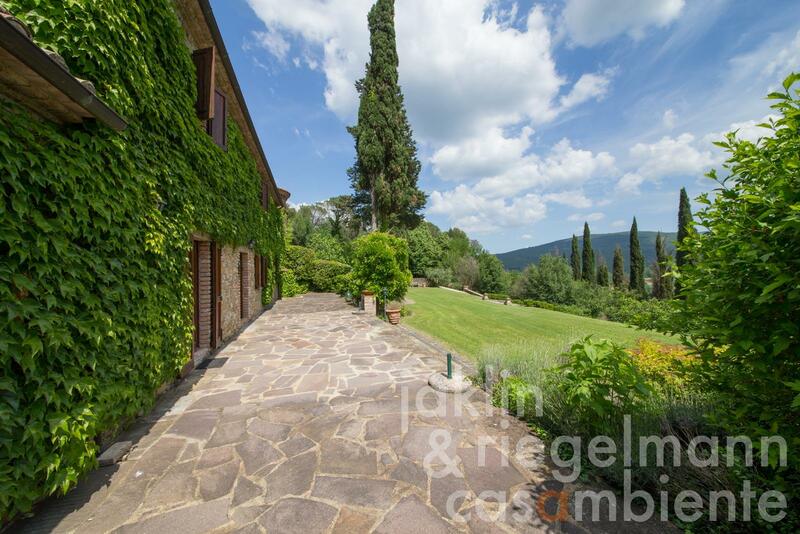 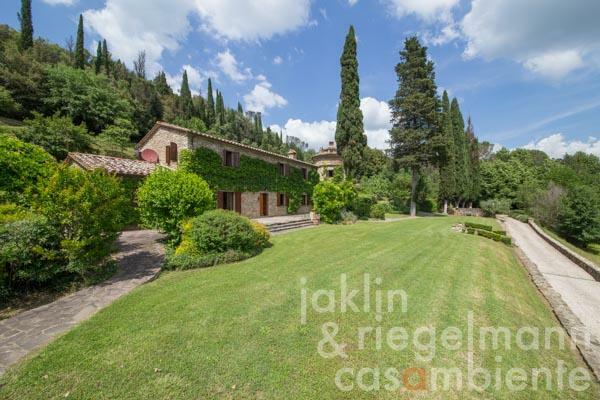 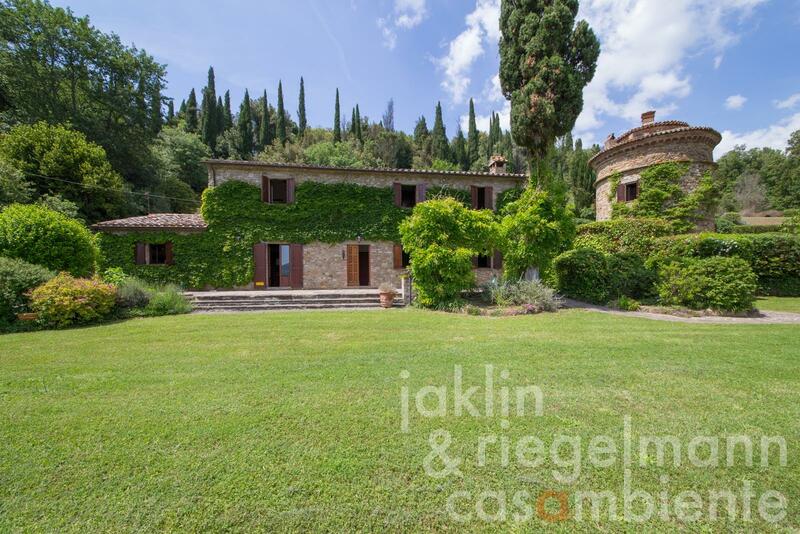 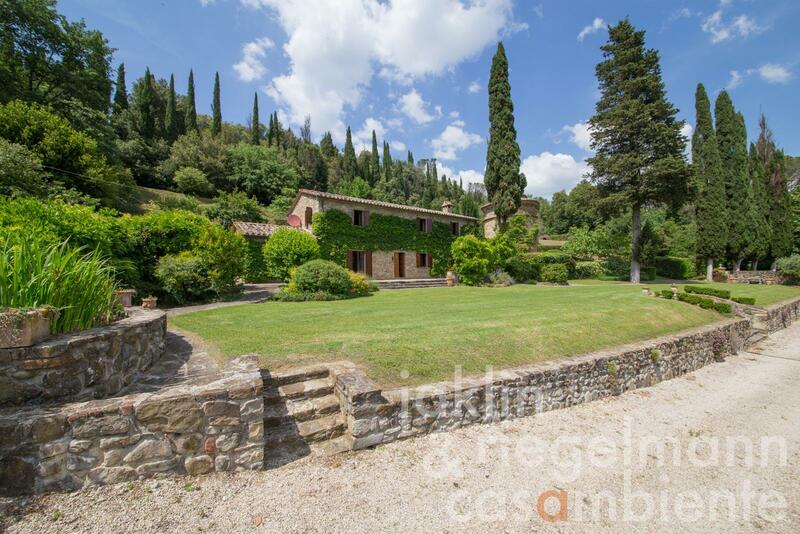 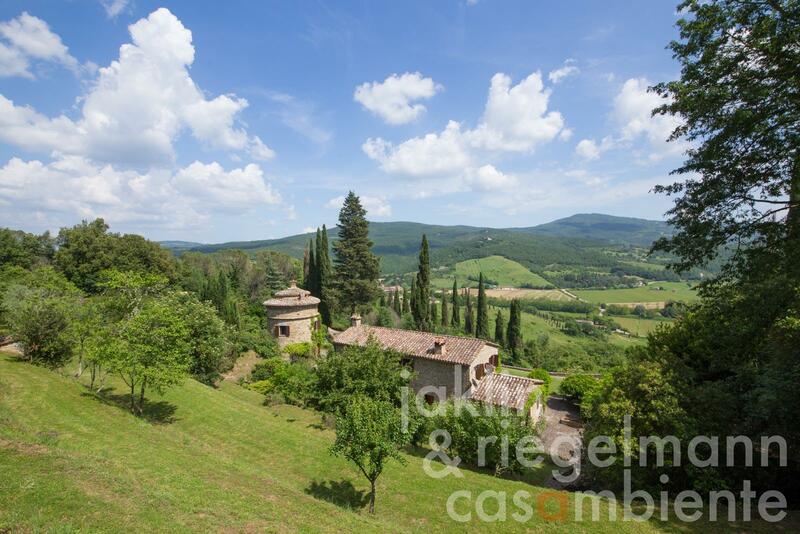 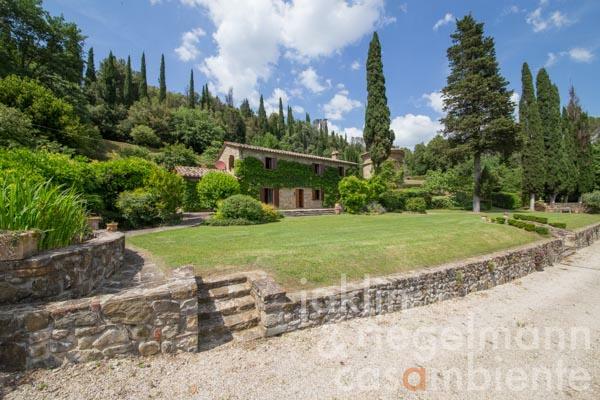 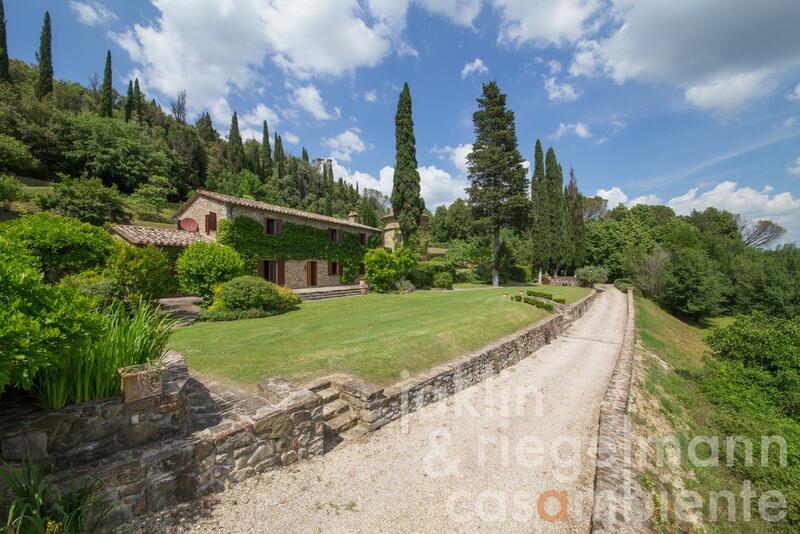 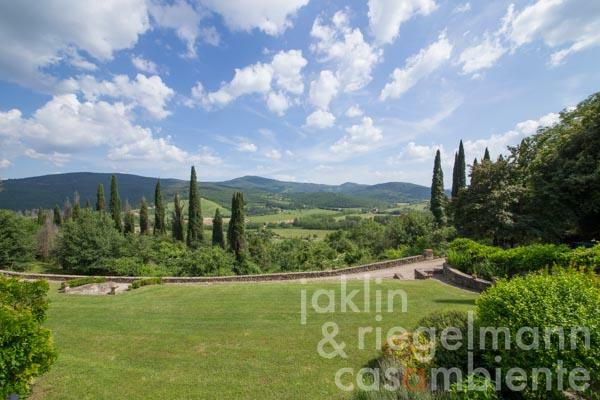 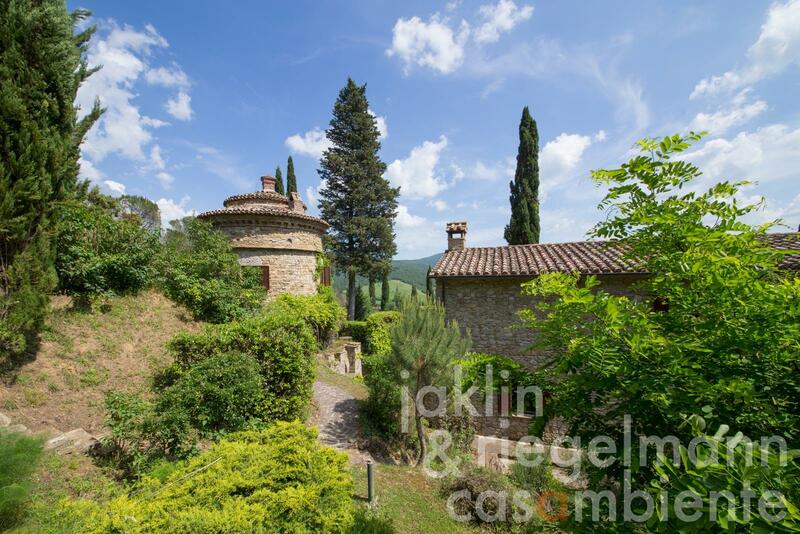 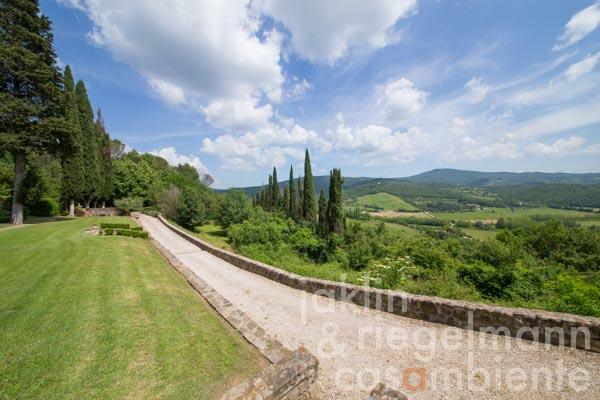 This exceptional mediaeval country residence for sale is situated on the south facing side of the Niccone valley in Tuscany with spectacular views over the valley. 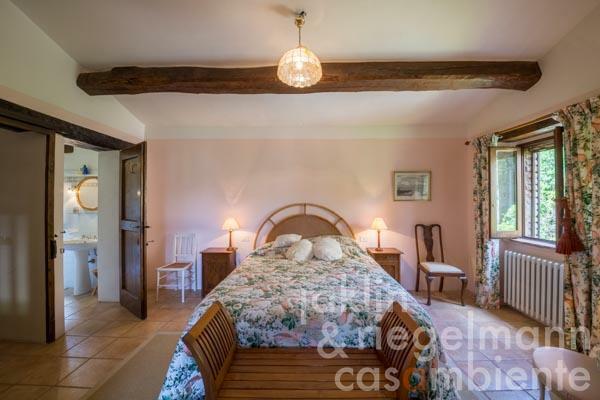 The property comprises a lovely stone country house, a unique round tower out of the 14th century, originally a watch tower, and a swimming pool with panoramic views across the valley. 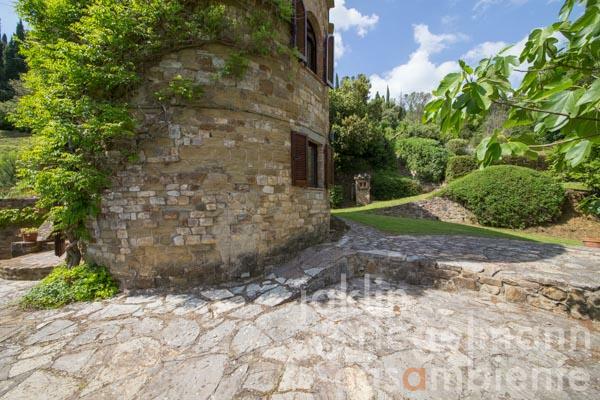 The front door to the county house leads from the extensive terrace, which runs along the front of the property, into a small hallway. 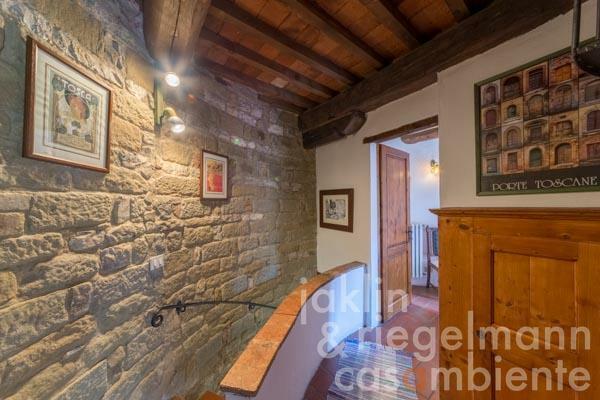 A door from the hallway leads into one of the reception rooms with a wood burning stove. 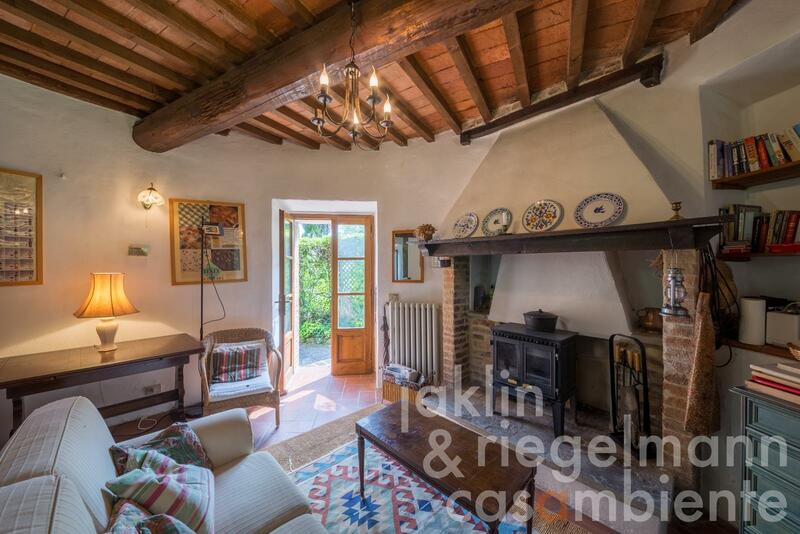 French windows open onto the terrace at the front. 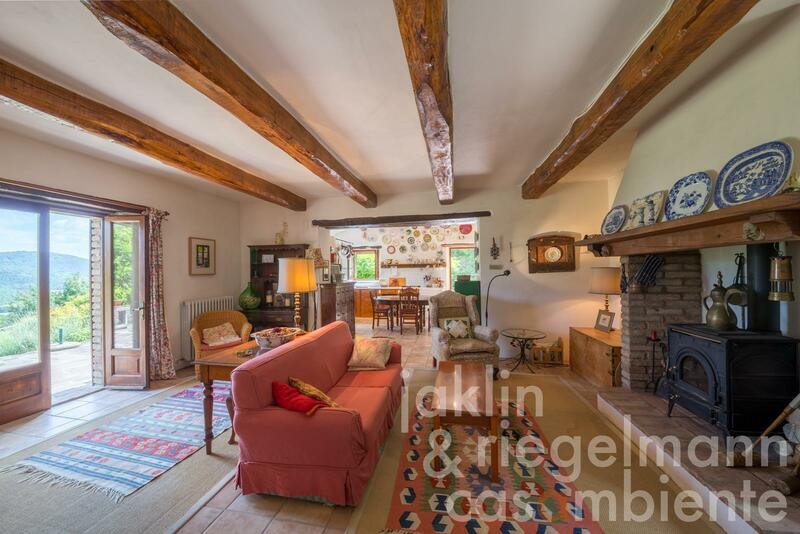 The kitchen lies at the far end of this room. An external door opens onto another terrace at the side of the house. 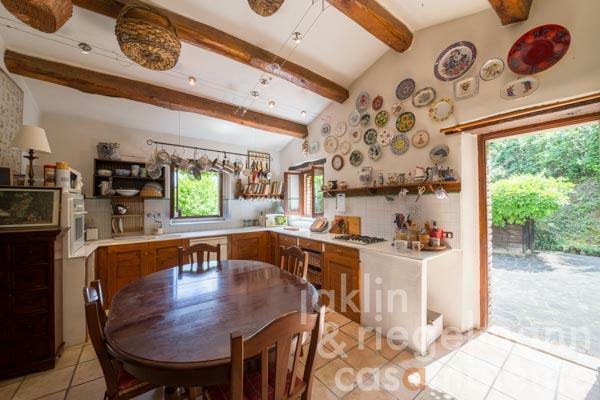 The well equipped kitchen has windows to the front and to the side. A door from the other side of the kitchen/reception room opens into a small study. 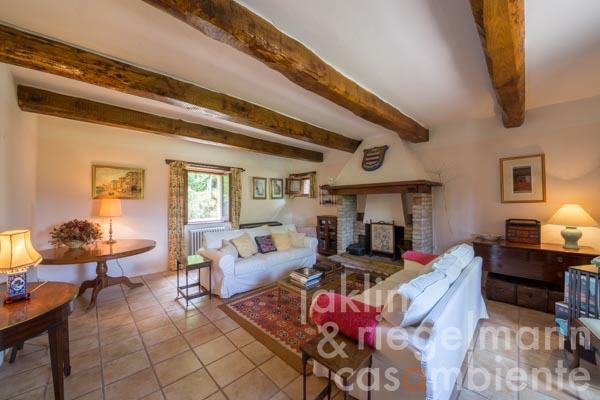 From the other side of the hallway, double glass paned doors lead into a living room with an open fireplace. 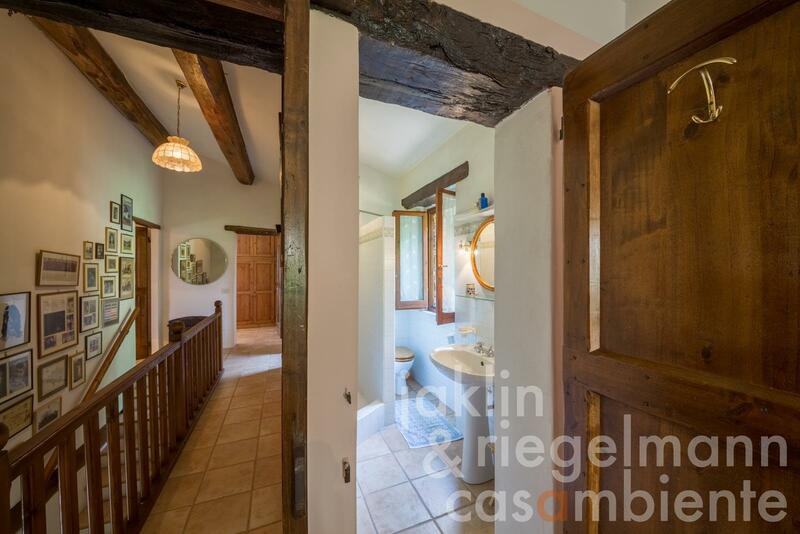 Stairs lead upstairs to the first floor and the three bedrooms each with private bathroom. The bedroom at the far end of the house has a sitting area separated by sliding retractable doors. An external door provides access to the outside and onto a small terrace. External steps lead from this terrace down to the garden. The 14th century round tower is located a few metres from the country house. 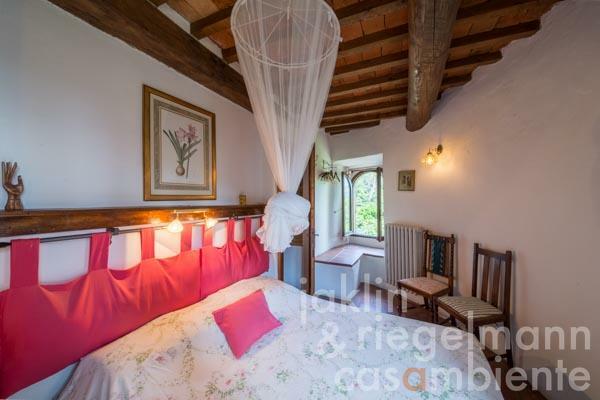 It offers a sitting area with open kitchen, two double bedrooms and a bathroom, all distributed over three floors. 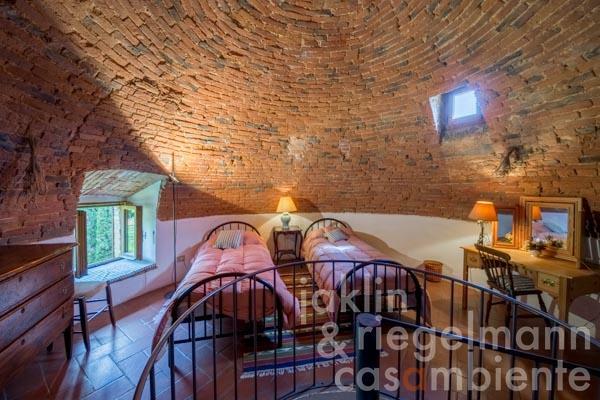 The tower has been successfully rented over many years and has the potential to continue providing a rental income. 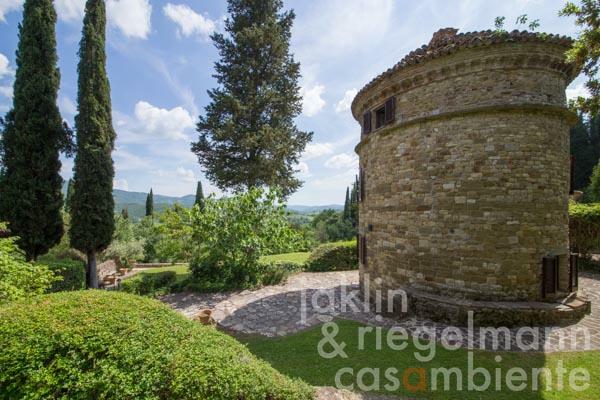 The tower has its own private and secluded paved outdoor terrace, which provides stunning views across the Niccone valley. The 6 x 12 metre pool is located up and behind the tower. 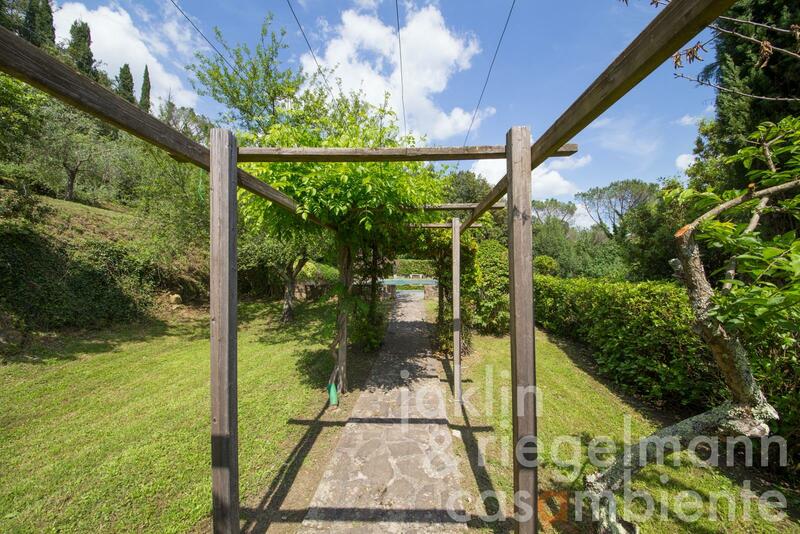 Roman steps provide easy access. There is a salt based cleaning system. 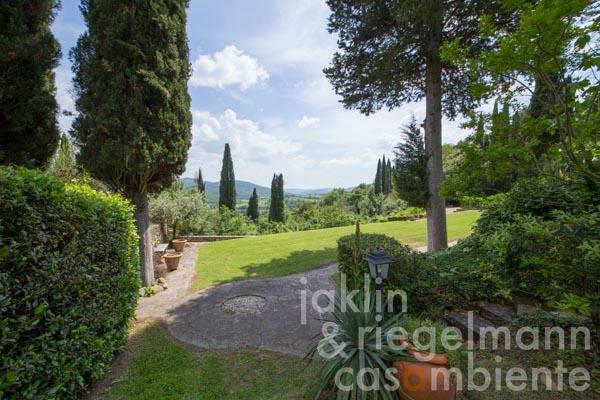 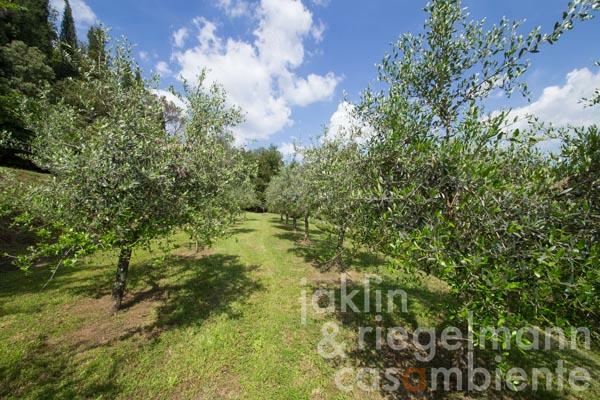 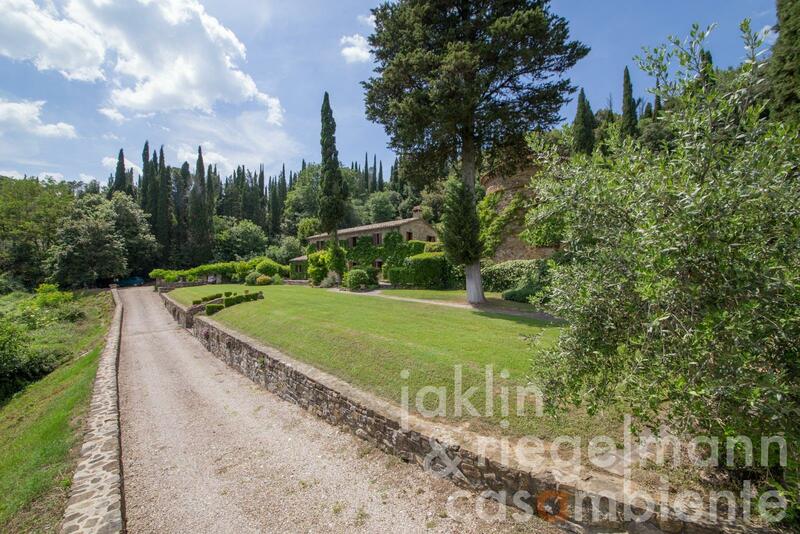 A mature garden surrounds the property bounded by majestic cypress trees. The location on the border between Tuscany and Umbria means that the property is close to the cultural gems of both these fabulous regions of central Italy. 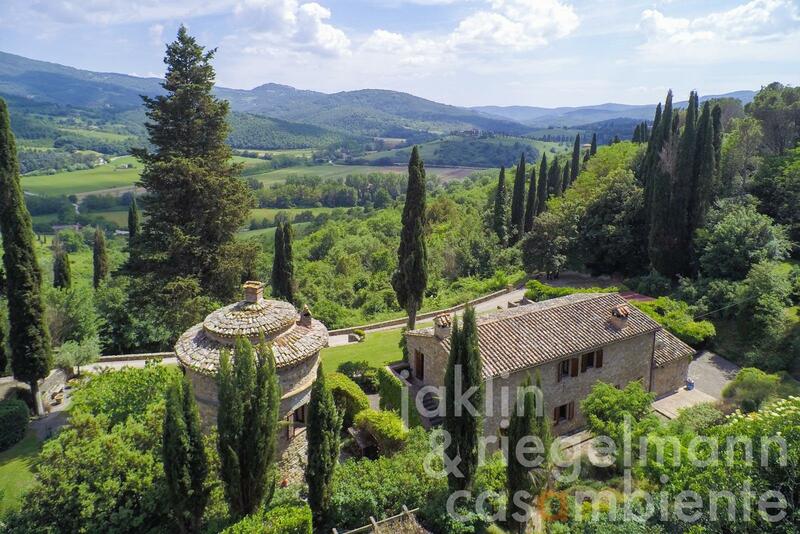 Assisi, Città di Castello, Gubbio, Lago Trasimeno, Montefalco, Montone, Orvieto, Perugia, Spello, Spoleto and Todi in Umbria as well as Arezzo, Cortona, Lucignano, Montalcino, Montepulciano, Pienza and Siena in Tuscany, to name just a few of the lovely sights, are all close by. 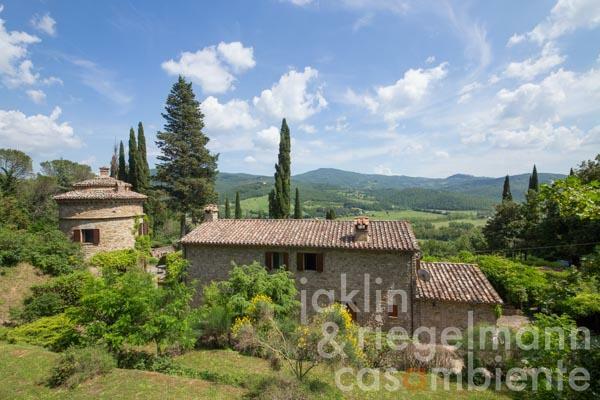 Italy, region Tuscany, province Arezzo, municipality Cortona. 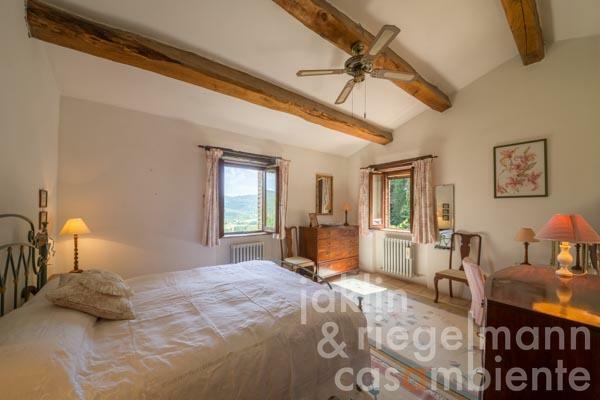 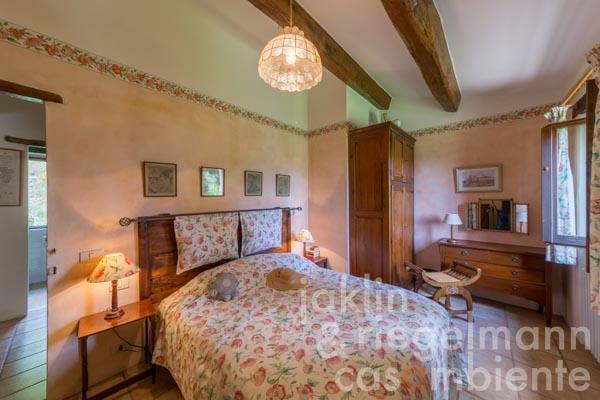 Electricity, own well water, central heating, fireplace, gas tank, telephone, broadband internet access, satellite-TV, swimming pool, carport, terrace, garden.